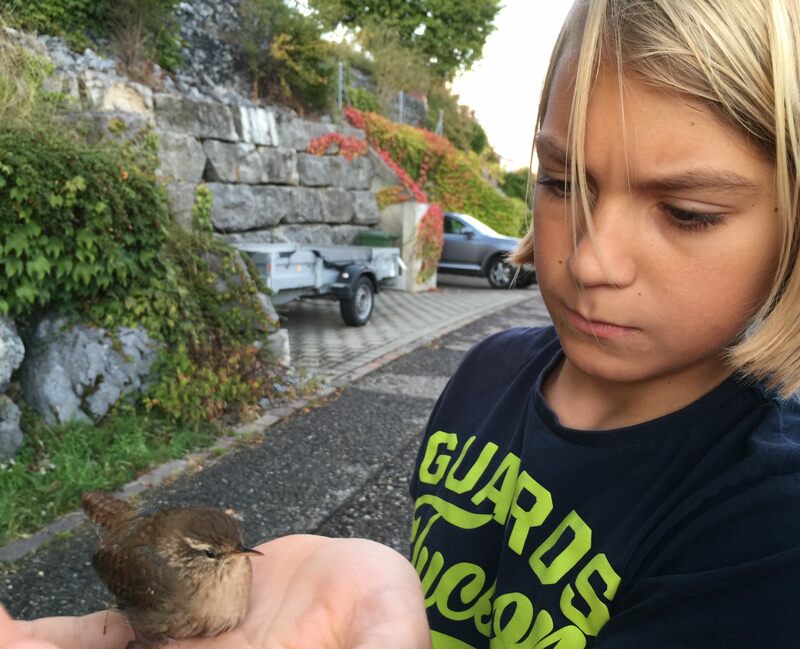 Big Boy rescued a little bird. Mister cat wanted to play with it, and he could watch this scene. A heart for animals, you’d say. Right. But it depends very much of the situation. Big Boy likes playing with the baby cat, putting it under a cover or putting his T-shirt around its body and letting it try in vain to break free. Or he enjoys cutting earthworms or snails or dissecting locusts. It was also Big Boy who came home from Kindergarten with a dozen of cottage snails in his hands and pockets. At that time, I remember, I wanted to take out the laundry from the washing machine. Two cottage snails were wandering on the freshly washed jeans. They survived an hour turning around by 40 degrees Celsius. As Big Boy’s mother, I’d say I have to have a big heart for animals too, in order to survive Big Boy’s zoo without a heart attack. and definitely will come back someday. I want to encourage you to definitely continue your great work, have a nice day!